The element of surprise is a major weapon in any storyteller’s arsenal. Their seeming voyeuristic delight in watching someone expecting one thing and delivering the complete opposite must be ultimately satisfying. To kill off a major character unexpectedly (happens a few times in this list) when the character is ingrained in the viewers mind as one that WILL see it through to the end, is a brave move, and one a filmmaker must sit back and revel in when done successfully. Audiences want safety in their films, they want their heroes/heroine’s to make it to the end, when they don’t the shock is palpable. 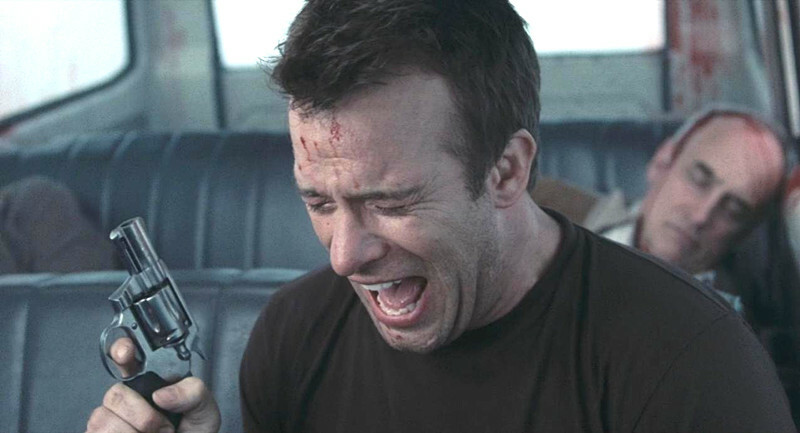 The following lists the most shocking deaths in horror, these moments in film that take a left turn whilst we were expecting a right, leaves their worlds open to anything and leaves the viewer reeling in the unexpected. Samuel L. Jackson rarely perishes in his extensive back catalogue of work, whether battling snakes on a plane or working with John Travolta. But in Deep Blue Sea, during a particularly inspiring speech on how to survive an attack from super intelligent sharks, he is swiftly removed from our screens in a great splashing frenzy. Russell Franklin, Jackson’s character, is stranded in an underwater research facility that is slowly filling with water. Circling Franklin’s team of panicked survivors are hungry, genetically modified sharks, the kind of intelligent fish that make Jaws look like Inspector Clouseau. Facing death in the waters, squeezed into a wetsuit, and visibly annoyed, Franklin embarks on a life changing speech, one which will inspire his troops and fill their souls with renewed drive to survive. In Jackson’s cannon of eye popping movie speeches, this ranks a close second to the holy inferno of his scriptures skewering Pulp Fiction address, but is no less epic, with a tirade on man’s evil’s in the world. Formulating a faultless plan in-front of his loyal followers like a manic preacher standing over the gates of hell, his never say die speech is suddenly cut short as the huge mouth of a shark, deep with teeth, leaps out of the water and drags poor Franklin into the sea, where he is pulled apart in a simple scene of pure B-movie casual brutality. With their appointed leader and all round wet-suited hero (not to mention the films biggest star) gone, the team are left to survive without Russell Franklin to guide them. Deep Blue Sea was shot on sets built above the same huge water tanks James Cameron had used for Titanic. The water contained within has the dubious honour of containing the lifeless celluloid bodies of Sam Jackson and a frozen blue Leonardo DiCaprio, forever entwined in an underwater death embrace. A lot can happen in 13 minutes especially in the world of film. 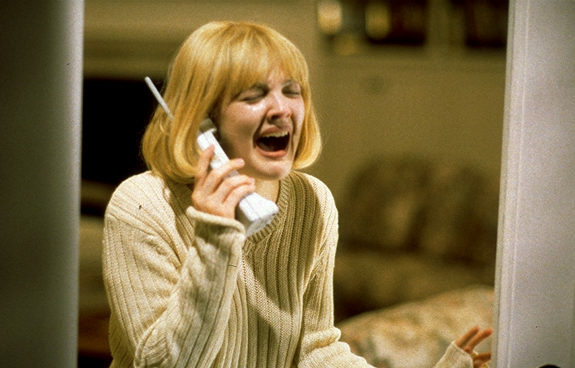 The first 13 or so minutes of Scream, we are introduced to an iconic killer and we are treated to the sight of our lead actress getting wiped off of the screen. The viewer has every expectation that she will be still be there at the end, surviving every attack from the ghost face attacker, perhaps showing up in the sequel to further be chased by her unrelenting butcher. But Craven has other ideas. Casey Becker (Barrymore) is alone, making popcorn in a plush kitchen in suburbia bliss, waiting for her boyfriend to arrive, when she starts receiving phone calls from a gravel throated stranger. Attributing this call to obviously be a prank, she doesn’t seem too perturbed at first but as the calls become more frequent, she realises something more sinister is unfolding. Filled with iconic dialogue (“Do you like scary movies?”), the unseen stalker is seemingly playing a twisted game with Casey, before showing up, slaughtering her boyfriend, and giving chase to Becker until finally doing away with her in classic slasher fashion. In this film referencing work, Wes Craven looks to one of the greatest shock deaths in cinema, Janet Leigh’s demise in Psycho (more on that later), and kills off the star name attraction in even swifter time than Hitchcock could manage in his dark masterpiece. No-one likes a show off, especially someone with incredibly powerful psychic abilities and a psychotic streak a mile long. Never doubt his power and never ever ask him to prove his dangerous ability. Cronenberg’s film shows the result of such foolishness. Michael Ironside is the rage filled telepath and in the opening sequence to Scanners he is watching (shady organization alert!) ConSec’s showcase of “scanners”: a group of psychics with powers that include mind control, telepathy and telekinesis. He volunteers to be a part of the process and be the lab rat in an experiment to show off scanners ability on him, but Ironside is a far greater opponent than anyone could have ever expected and when locked in a psychic battle with Darryl Revok (Ironsides character) the weaker scanner is dispatched in a truly magnificent display of shock, revulsion and bloody excess. 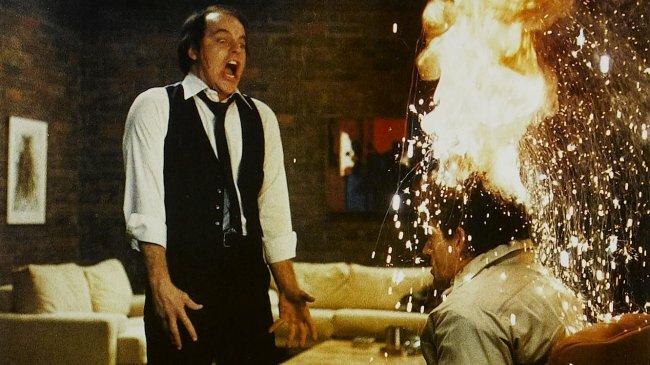 Cronenberg has always had the ability to shock with his obsessive blend of writhing body horror and visceral violence but the head exploding scene in Scanners maybe the most shocking. The viewer knows something is coming due to the expertly crafted build up, and as we lean into the scene or wince away from it, the pay-off is something so screen splatteringly unforgettable it’s hard to ever wipe the image from the mind. 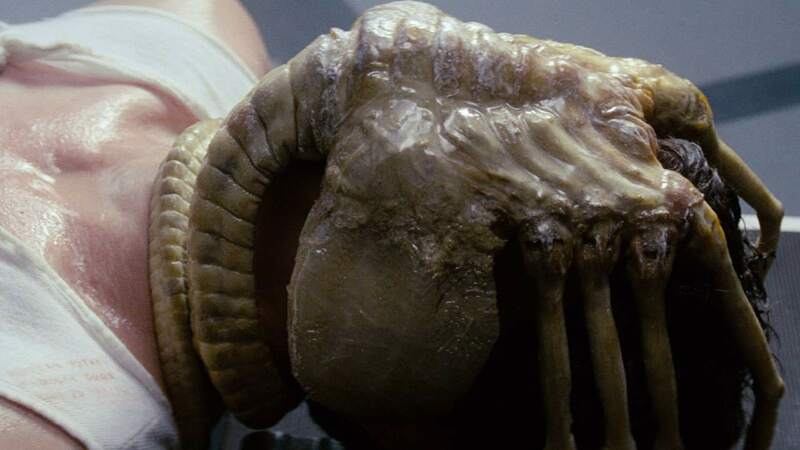 Never has a wail of agony been so ingrained in cinema history. The one that ends The Mist is so understandably traumatic it hardly needs explaining to those who have seen or heard it. A sinister mist descends on a town leaving a group of people trapped inside a supermarket, seemingly with no way of escape, their stress levels reaching boiling point. The mist is thick with huge strange creatures that naturally decimate anyone who wander into the strange fog. By the time the end rolls around we are left with five survivors sat in a car, stranded, with no hope of surviving. David Drayton (Thomas Jayne) takes the gun, and with only four bullets left he has to make the ultimate choice, does he take the lives of the people inside the vehicle, including his young son, or does he leave them to succumb to the monsters. With the end fast approaching he makes his decision, taking point blank aim and kills everyone in the car. David, in a state of uncontrolled grief, begs with the mist creatures to take him and end him, but they do not arrive. Instead, what he mistook for the monsters was the military saving the day. The mist clears, the army arrives with survivors in tow and if David had waited a couple more minutes every person now lying dead inside the car would have been rescued. The sheer agony of this ending is hard to overcome, its brute force and shock hits the viewer hard. Whilst never expecting a happy ending from a Stephen King story (on which The Mist is based), this changes King’s ending, which, far from happy, does at-least leave it down to the reader to create a minor sliver of positivity out of its misery, and like a battering ram Darabont’s ending reaches out of the haze and grabs, leaving those watching in perpetual shock. Tracy Mills, although a relatively minor character amongst all the rain soaked grimy goings on in Fincher’s film, meets an absolutely cataclysmic end. One which shocks and very few expected to see at the end of this terminally bleak detective chiller. 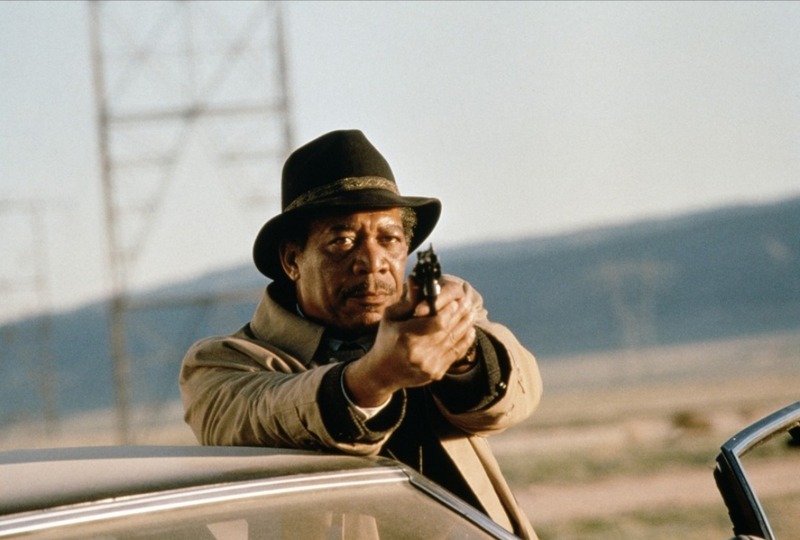 Detective David Mills (Brad Pitt) and Detective Lieutenant William Somerset (Morgan Freeman) are on the trail of a serial killer, John Doe who uses the seven deadly sins as inspiration for his sickening crimes. Both cops remain on the backbeat of Doe’s (Kevin Spacey) activities throughout the film but catch a break when he promises to confess to the murders only if he is taken to a desert location where a delivery van arrives on cue and gives a package to Somerset. There Doe informs Mills that, earlier that day, he paid a visit to Mills’ pregnant wife Tracey (Gwyneth Paltrow) and removed her of her head. As Somerset opens the box and reveals that Doe’s ramblings were indeed fact and sitting inside the box was Tracey’s disembodied head. Being a background character throughout much of the film doesn’t lessen the impact of her death, she is rarely seen and the viewer seems to forget about her existence somewhat, her unhappy story being lost in the horrid stories enveloping her world, but as the box is opened in the desert (although we never actually see the head) the viewer is taken aback in shock, everyone is victim, and as Mill’s shoots Doe, he is the final piece in his twisted game.